It’s three months of body art modeling! That means three months of Spencer Shrike’s paintbrush all over her body, three months in front of Antoine’s camera, and three months of twenty-four hour filming for Spencer’s Biker Channel reality show. 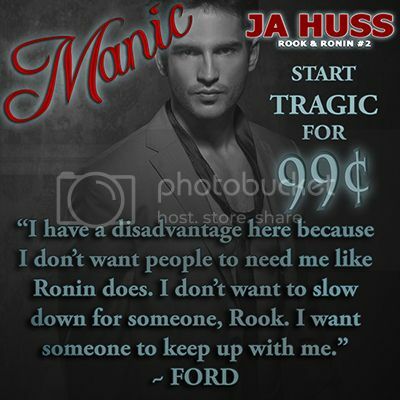 Sure, Rook’s bank account is almost overflowing, but Ronin is angry, Clare is trying to escape rehab, Antoine is a worried mess, and Elise is just trying to hold everyone together. Her new family is about to fall apart before she even gets the chance to enjoy them. 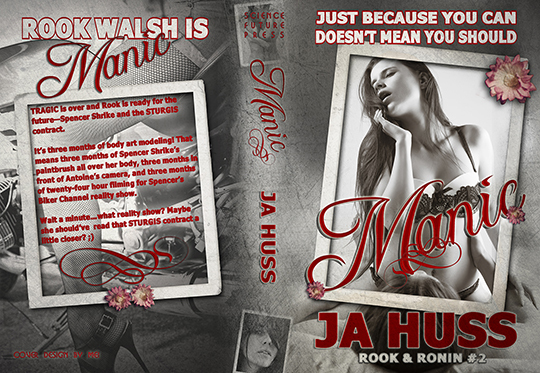 Add in a mysterious man from her past, a road trip to the famous Sturgis Motorcycle Rally, and a final show in front of the entire world where all her good are on display, and you’ve Manic—a new adult contemporary romance that will definitely make your summer sizzle! New Adult Contemporary Romance *Mature Content* Recommended for ages 17+ due to sexual situations and language usage. Amazing 4.7 Rating on AMAZON! JA Huss is a SF and new adult romance junkie, has a love-hate relationship with the bad boys, and likes to write new adult books about people with real problems. She lives with her family on a small acreage farm in Colorado and has two donkeys named Paris and Nicole. Before writing fiction, she authored almost two hundred science workbooks and always has at least three works in progress. 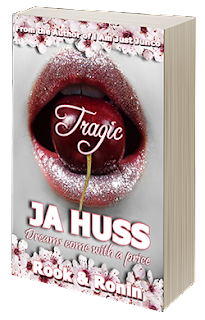 Her first new adult romance is called TRAGIC and her SF series is called I Am Just Junco.